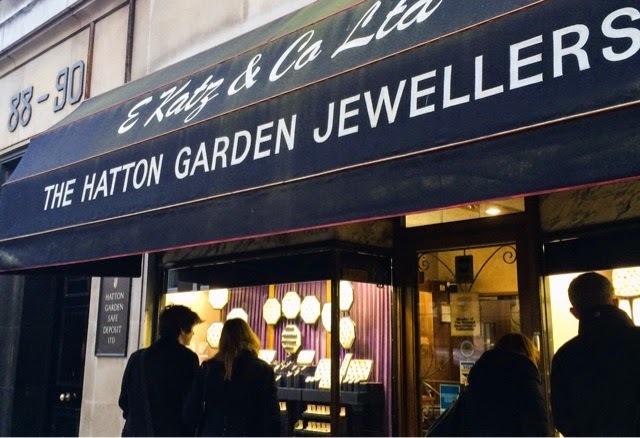 With the wedding approaching in the summer, we decided to take a visit to the famous London jewellery quarter at Hatton Garden. 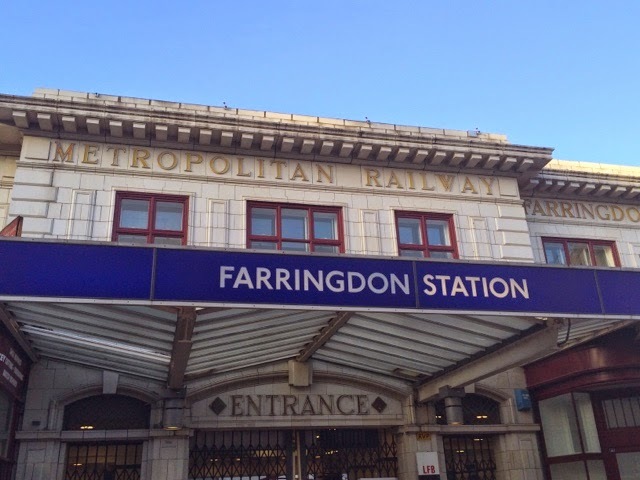 Located near Covent Garden, the closest tube or rail stops are Farringdon or Chancery Lane. 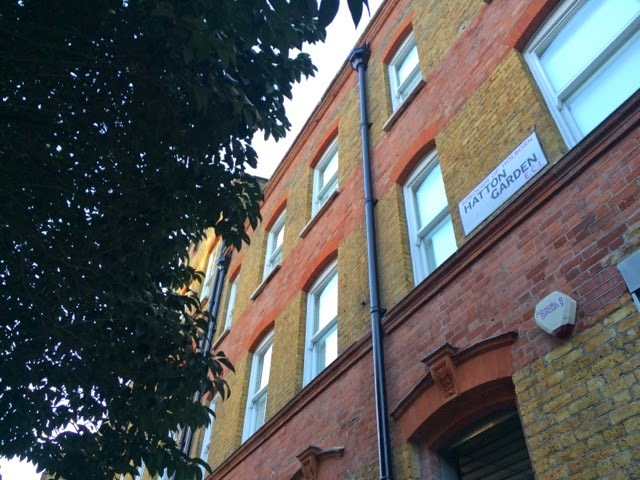 It took us a while to find our bearings when looking for the street, however, it should be a 5-10 minute walk from the station. 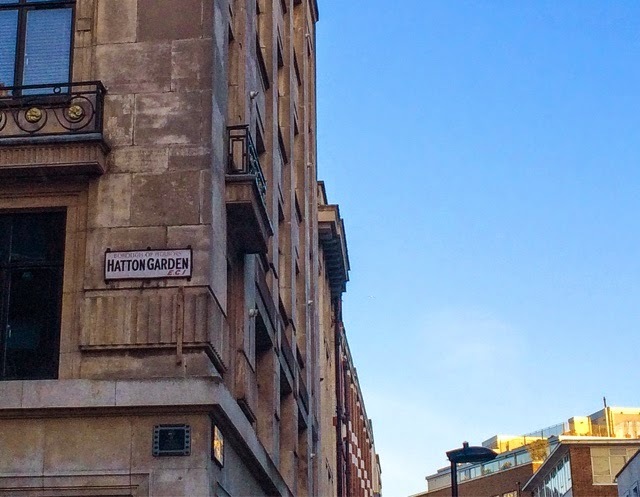 As we approached the road, we began to stumble across many of the famous names associated with Hatton Gardens. 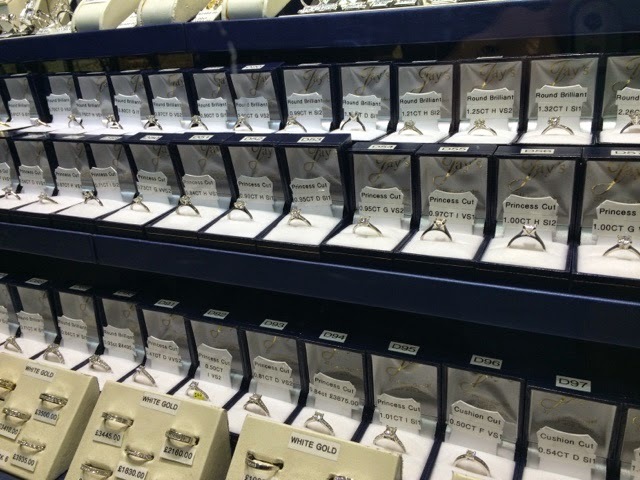 Browsing through the shop windows, there seems to be an engagement or wedding ring to suit any style. 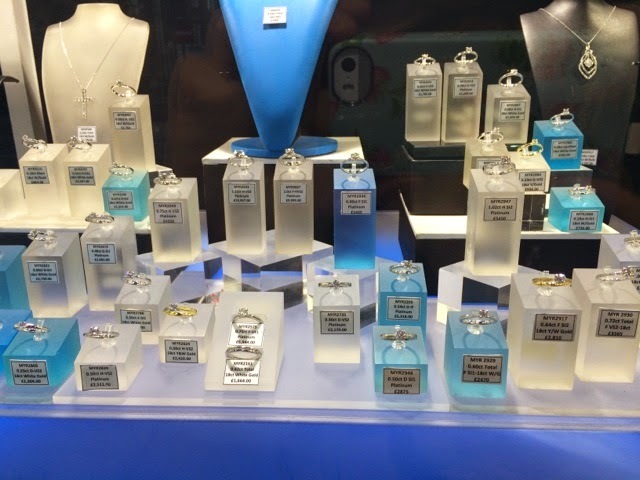 From white gold to plaitinum to white diamonds and sapphires, without a doubt this place has a wide selection of jewellery to choose from. 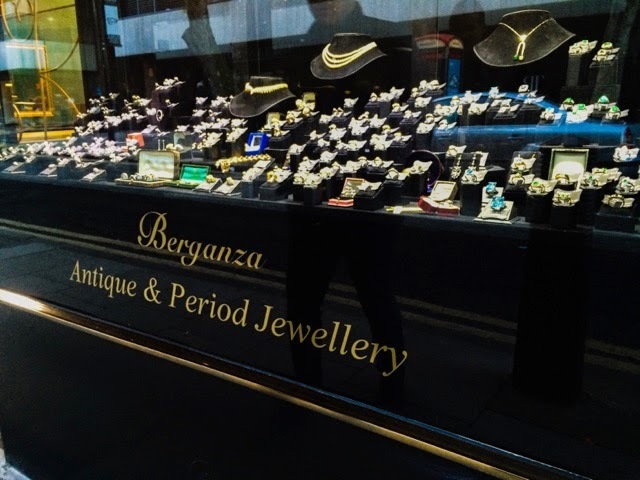 Sales assistants and jewellers alike sometimes come out to great you and ask if you need some help, while others sit patiently just waiting for the business to come to them and quite rightly so. We visited on a Saturday afternoon - considered the busy time - and we found that most of the windows and shops had people in or looking through them. We saw an identical men's wedding ring in jewellers window that was in the exact same metal of one that we had seen Goldsmiths. 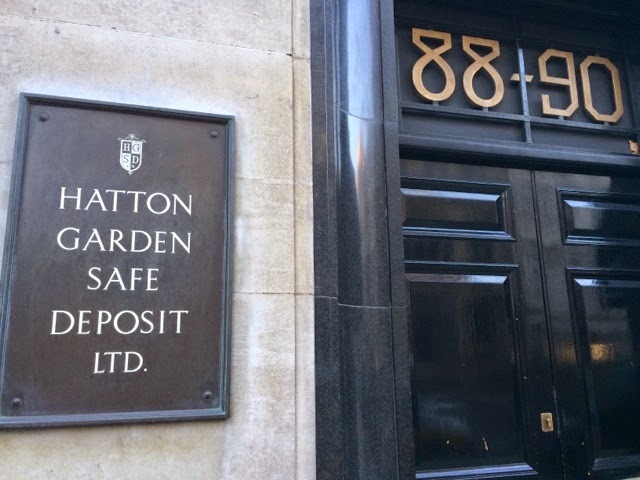 The Hatton Garden store wanted an extra £500 and that was with a 25% discount. So you see, it really does depend on what you are after and looking for. Yes, you have the advantage of having something custom made here too - which if you've got the money (+£10,000s) is great. 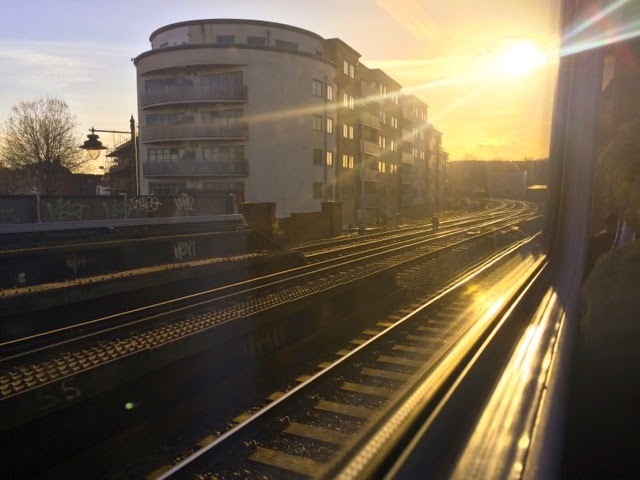 >Hatton Garden does have some stunning jewellery, but I feel that in these topsy turvy economic times, that you could get much better value for money and the same quality elsewhere.